Graphic design is such a broad term and covers a wide range of areas. Here at Samnooshka Designs we can create graphics for websites, interactive PDF's, E-Newsletters, GIF banners, email newsletters, logo design and company branding. 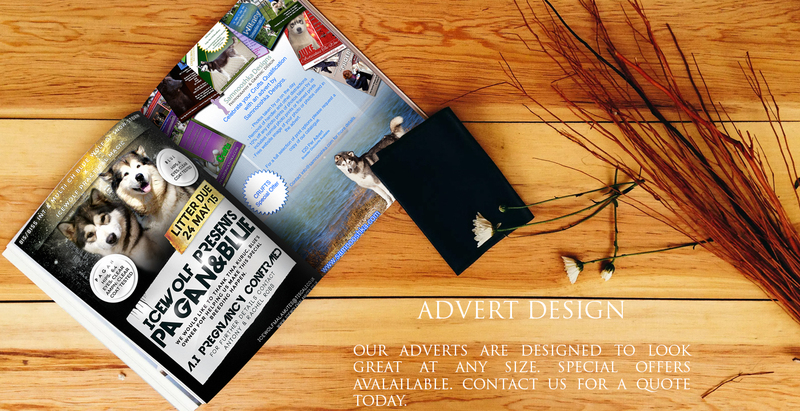 We can also create brochures, leaflets and advertising for magazines, newspapers and the internet. We have created event banners for schools and companies and offer printing of banners at competitive prices. We create all logos in Adobe Illustrator. This means that the logo is created as a vector and can be printed as large or as small as you like without any pixelation or distortion of the image unlike those designers using photoshop. 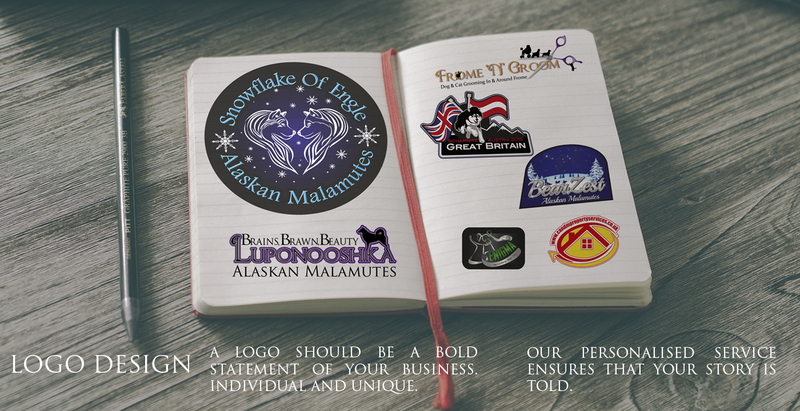 Logos are the first thing your clients see, they need to be bold, catchy, memorable, yet simple. We talk you through each stage of the design process to make sure you are getting the look and feel that you really want. 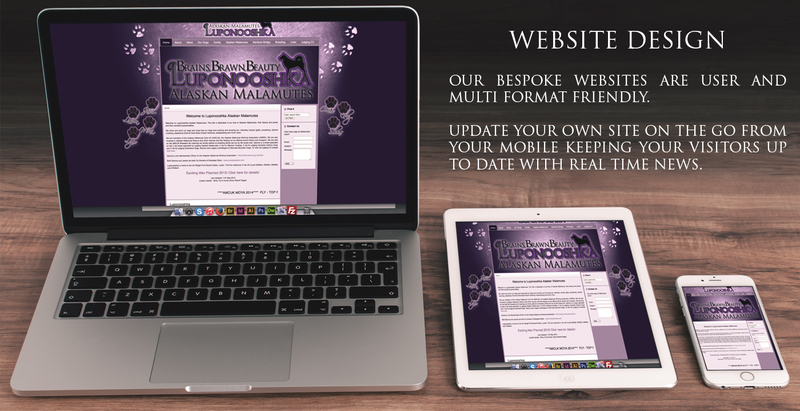 Our adverts are created using Adobe Photoshop or Adobe InDesign. All we need is your company logo, images and wording and then let us piece it together to create a visually impacting design that will stand out from the rest. Adverts start from £20 for an A4 advert (300dpi) and include a 1000px (longest side) for facebook. Should you require an alternate size for printing, please state this at the beginning so we can quote for this. Order a litter announcement advert and get a pedigree advert free!! Just £20! We can create an interactive email for use with Mail Chimp, Constant Contacts, or to be hosted through your own website. Keep your clients up to date with what is going on in your business with latest products, news and special offers. We have created attractive banners for schools and companies attending event fairs. Our designs are not only bold, but they grab the attention of passers by giving them to the point information and draw them into the store. Banner design starts from £50 with printing options available on request. Let us help celebrate your up-coming event, from Christenings to Weddings, corporate events and even funerals. We can cater for all your needs with designing order of service cards, place settings, seating plans and invites, thank you cards, the list is endless. As always we keep you involved int he design process so that you get exactly what you want and need. We can also get the designs printed with one of the leading printers in the UK. We love drawing and designing cartoon characters, we can turn any photo into a cartoon, and create graphics of animals, people and even cars and bikes. Prices for cartoon characters start at £50 per character, but special offers are available by contacting us with your brief. Leaflets are a great way to get your company "out there" they should be bold, informative and catchy. We can design 2 sided banners, or even menu style leaflets (2 or 3 fold). 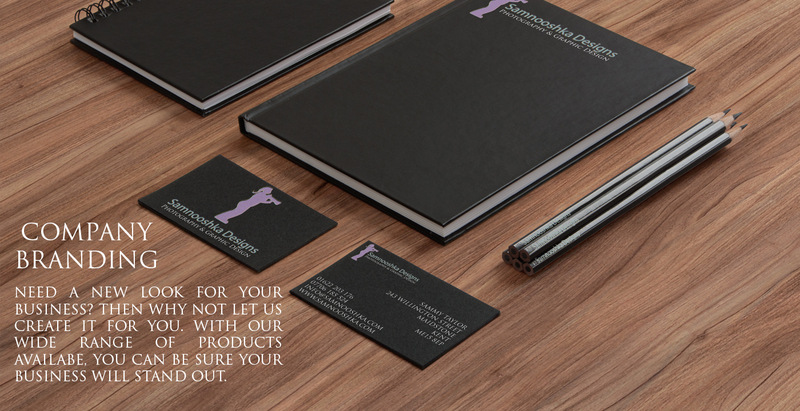 We also offer printing at competitive prices.